What a difference a week makes! Our weather here in the Cumberland Valley is just beautiful this weekend! Time to enjoy some hiking or biking or riding in our area. The leaves are so colorful - even after the snow of last week - that a drive around the area would be a perfect pastime! 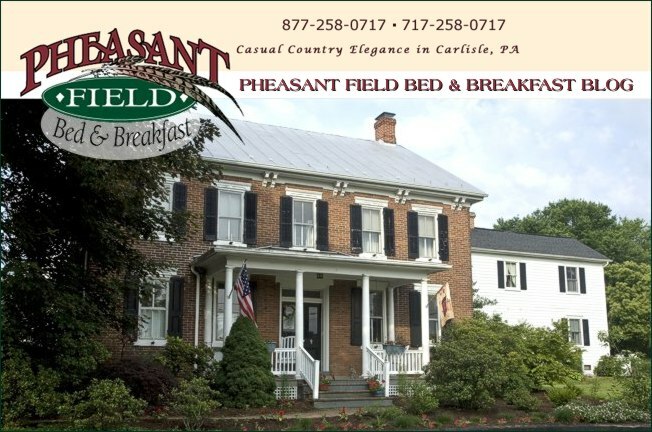 Call to make your reservation for your getaway to Pheasant Field Bed & Breakfast.